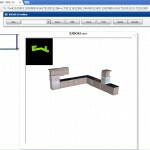 This entry was posted on Thursday, November 1st, 2012 at 10:46 pm	and is filed under KGC, KitCAD, KitCAD i3, Library Systems. You can follow any responses to this entry through the RSS 2.0 feed. You can leave a response, or trackback from your own site. 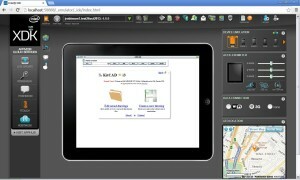 Other existing KitCAD i3 cgi and LibSys i3 cgi interfaces have been modified to allow limited user access. * the iframe form post method is a process of posting form data to a server which returns a acceptable mime type for decoding by the return catching function (as example: Return processing function executed by the iframe element onload attribute). A more formal method of posting form data could be performed with XAJAX or the Qooxdoo interfaces which both have error handling support. 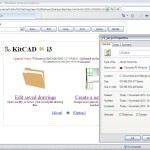 NOTE: KitchenPages.com LibSys i3 is not required for KitCAD i3 KGC r3 to function. KitCAD i3 KGC r3 had problems with display and failure of pointer drop click of KGraphicControls (With no ‘+’ pointer for pointer carrot. The hand carrot is instead shown) – until the following style of public/system DOCTYPE and HTML namespace declarations, as follows:. The above issues is caused when a author is recycling and reusing KitCAD i3 Java-scripting code that worked with HTML 4.0 into a more modern system like HTML 4.01 strict. Valid element namespaces can be viewed at W3C html5. NOTE: allowance for MATH, SVG and pre-CANVAS standards of public/system ID declarations and element namespaces has not been included in the above workaround example; Apart from the removal/change to public/system ID. The KitCAD i3 KGC r3 *-get-svr.php file was modified to remove the XML Whitespace in response error message that affected use with some Webpage browsers/WebKit (currently unsupported). See release testing for more information. Re-Tested draw, load, and edit functions (found minor issues/bugs exist). Re-Tested save, view, and report functions (without file sharing enhancements). Tested CSS for web2form user interaction. Tested Browser support and Landing page re-directions. Re-wrote (by remarking lines) the www_kgc_rpcl3xajaxjson.js function of kgc_exploit_load for testing SVG. The corrected kgc_exploit_load function will be enabled after further testing, and modifications to the target HTML page. Completed changes for IE, and tested for rendering KP2 drawings, saving KP2 drawings, and applying a change to a loaded drawing. SVG still needs corrections for use with Firefox/Chrome webbrowsers. 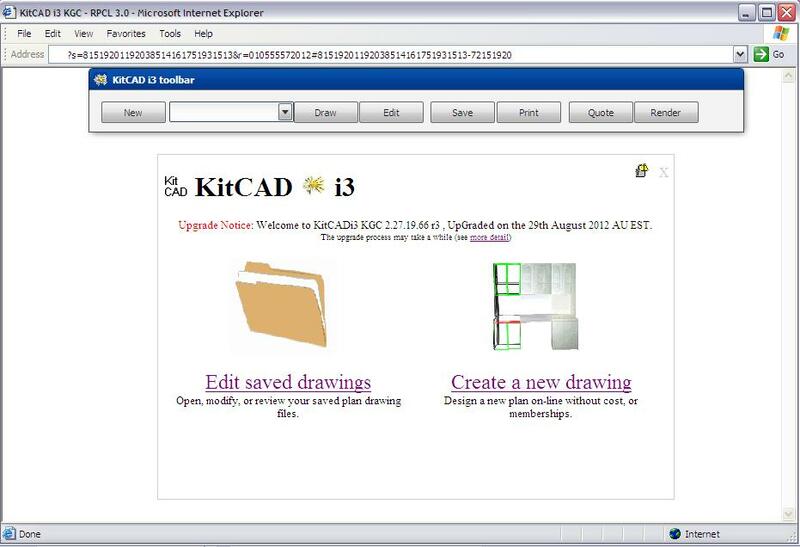 Updated KitCAD i3 KGC (online version) to use X3DOM 1.4.0; See the update notice for more information. 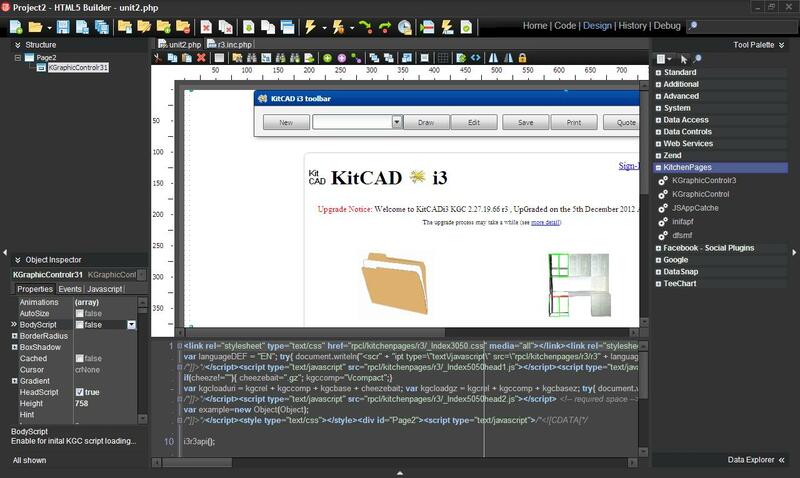 KitCAD i3 KGC r3 will show Share Icons for Signed-in users on the Quote and View web form Pages. The Share Icons become visible when a Signed-in user navigates over the X close web form symbol; When Share Icons are clicked the web form is closed, and the Share target will open in a new window. The cDemo.exe code example is a sample application supplied within Rad Studio products (?maybe Delphi or Delphi for PHP ??). cDemo.exe uses a external dynamic link library file named php4app.dll for PHP 4.4.6 to process PHP scripting; Other versions of the external dynamic link library file are included for PHP 5.2.11, or PHP 5.3.0. 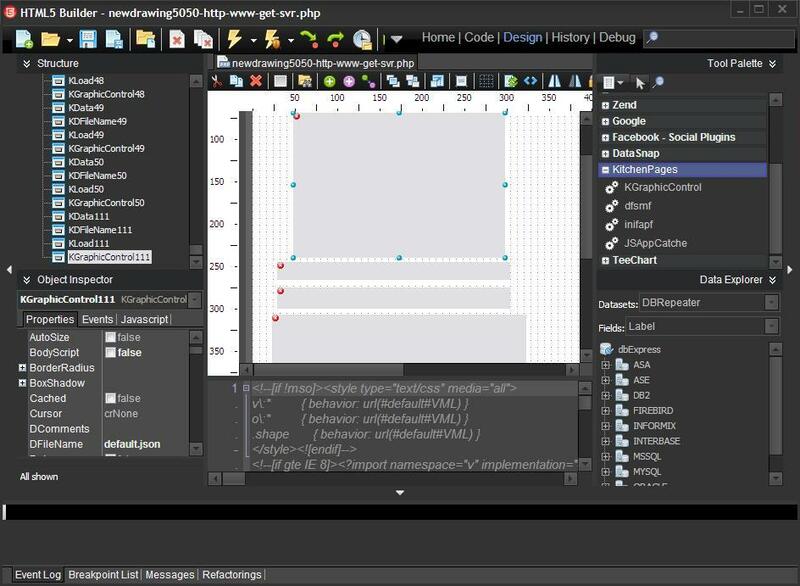 Added a build_gz.php backend to merge scripts and create gz archives. 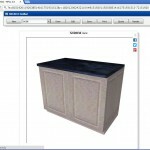 The gz archives are not required on the KitchenPages server as webpage browsers negotiate with the server for gz or other compression during communication/download; The gz archives are used by KitCAD i3 KGC for increasing speed on local-machines/networks that are using the file:// protocol (The file:// protocol and gz archive speed-up is not supported by Internet Explorer or KitCADi3ie5.exe webpage browsers; And the planned releases of KitCAD i3 KGC r3 will not be designed for supporting the file:// protocol). Added some support functions for reuse within a HTML5 rewrite (one page). Tested LibSys and X3Dom view results; All Movement and Loading functions; And re-Tested Script loading. 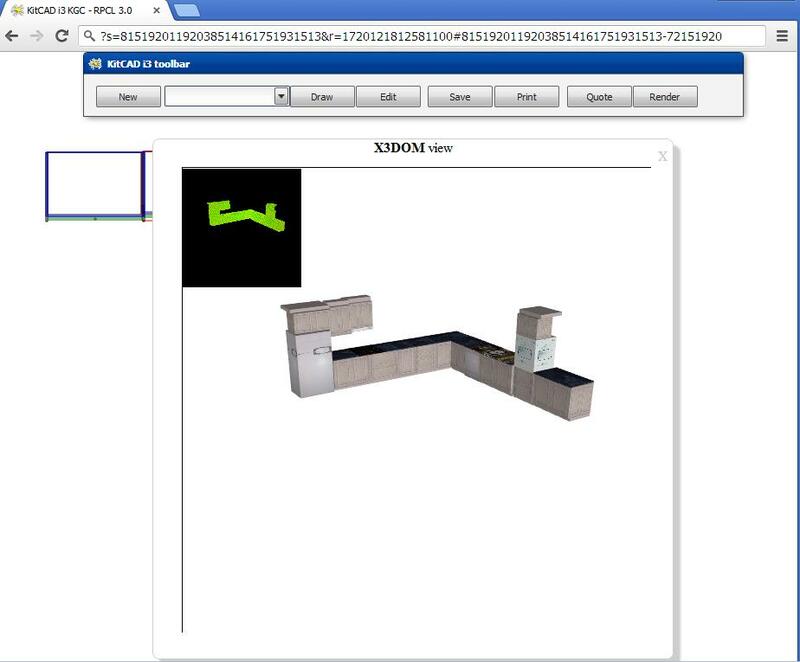 Recycled and included the Object Editor rotation maths from existing KitCAD i3 KGC interfaces. Recycled and included the Object Editor Fraction fixes from KitCAD i3 KGC interfaces. The dfsmf.js 2010 r3 converter for non-metric sizes will be used; See the dfsmf.js release page for more information. 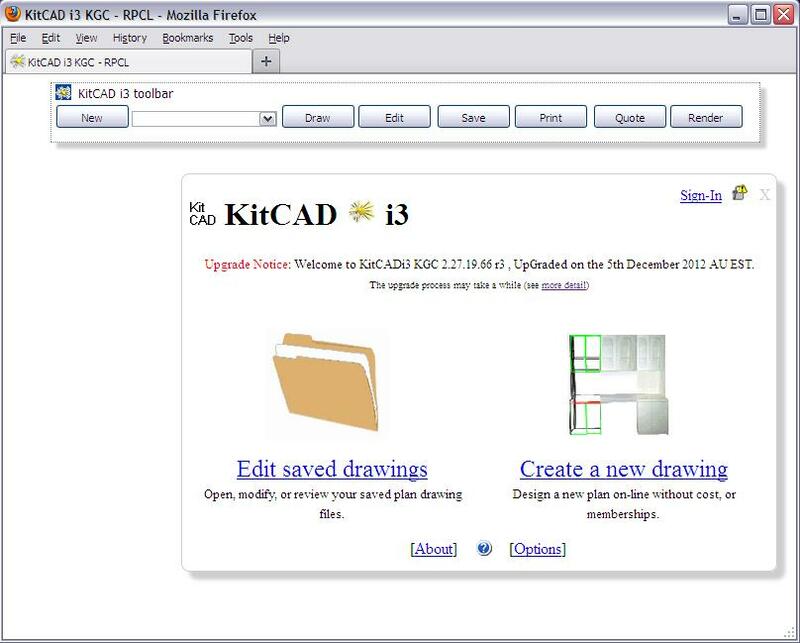 Performed a very basic draw, drag, edit test of KitCAD i3 KGC r3 using a current webpage browser without major error. More advanced testing may occur at a later date. Reviewed some of the loading and drawing code to match current KitCAD i3 release. Added an about message box; With external links to components and limited license information. 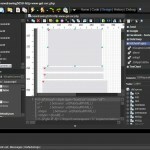 Creating graphics and Writing KitCAD i3 KGC r3 help/guide document. (HTTP only, HTTPS is not enabled at this time). NOTE: Preview users will need to reset/clear their webpage browsers cache for any updates (try pressing F5), or wait 1 week where any updates may be applied (downloading updated files is dependent on if the webpage browser is set to check for changes from the server); See the Clear cache guide for more information. 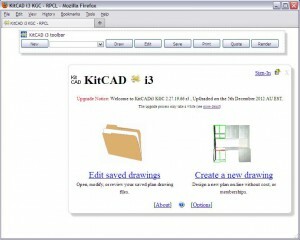 The r3 Preview may/does NOT save, and generate communications correctly – Drawings Saved and web communications generated for KitCAD i3 KGC r3 may NOT yet work with existing or current versions of KitCAD i3, at this time; EG: The un-bug-tested functions of Save, Render, or Quote may stop working after one use. 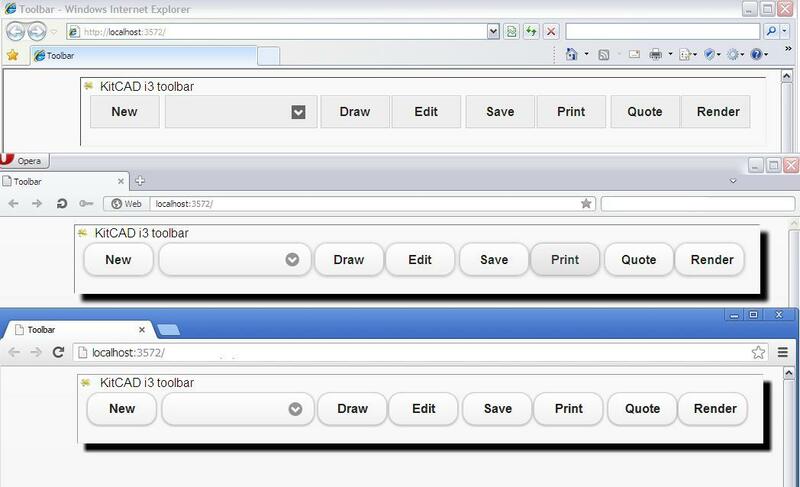 Added text input element onclick EVENT focus checking function of checkqxievn for Mozilla/webkit Webpage browsers. To test if the EVENT fix is active try clicking between two letters within a text input element; The flashing | symbol will be located at the end of Text if the EVENT fix is active. Corrected minor errors, and fixed other issues. Added Filename lowercase correction support for Drawing Object Items. Included default library system for the Object Item drop-down menu. Created and tested a new interface using both RPCL 3.0 and RPCL 5.0 components. Added files for the new interface including JQueary 1.7.1 and XAJAX 0.5 scripts plus the required PHP from RPCL 5.0. Code review/Wishlist item: CGI/PHP error detection and/or requirement warning message. IE6 has failed with error thrown on line 157; At about 1 minute after XAJAX 0.5 processing message is displayed on the webpage Browsers status bar an error is thrown. Updated PHP and other required security to perform error checking for user supplied target URL’s called form XAJAX by a KitCAD i3 KGC r3 function. Updated and corrected minor bugs for log off function and two sharing functions. Added limited icon file support for Apple OSx to the KitchenPages.com server’s .htaccess file, only to prevent errors. 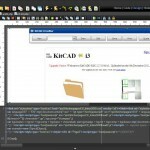 Created a HTML5 Builder package that contains the KitCAD i3 KGC r3 interface. No date is planed for release all of running source code at this time (Any release will have a small setup program that gets and installs 16Mb of source code, designtime, and runtime files from ‘about’ 5Mb of setup files). Added 2 servers for r3 versions; The first for RPCL 3.0 – for use with non-tabbed web page Browsers like IE6 (XP with SP2), Mozilla 4; And the second of RPCL 3.0 updated with RPCL 5.1 – for use with HTML5 web page Browsers (or IE8; XP with SP3). Testing of both servers has started and once finished the current KitCAD i3 KGC r3 will be updated where needed to allow correct function. The open source files and deployed Project files for the KGraphicControl and r3 packages running with RPCL versions 3.0 to 5.1 can be found within the KGC_RPCL_3-5_Installer_Setup.exe online download; See release notice for download links and more information. A deployed Project release of KitCAD i3 KGC r3 (localhost is enabled/any IP is partly disabled) with RPCL 3.0 and includes KitCAD i3 KGC (localhost) for XAMPP 1.8.1 Apache2 win32 web servers has been uploaded online. See release notice for download links and more information. 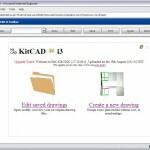 Released KitCAD i3 KGC r3 for FaceBook apps . See FB app release notice for more information. Causing Dialog message of: UN-AUTHORISED TECHNOLOGY. The r3 and r35 versions located on the KitchenPages web server have been updated. Releases of Source and other On/Off-line versions may be updated at a later date (within a upgrade download). Started writing and testing the next version of KitCAD i3 KGC r5 for release 2014, or sooner. Recycled code from previous r3 versions will be over-ridden or removed where needed (as apposed to updated); The user interface is made using RPCL 5.0 methods. 15th June 2013 – 10% completed; Initial display and running loops. 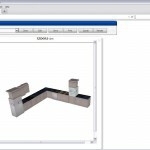 30th June 2013 – 11% completed; Display drag and drop functions. 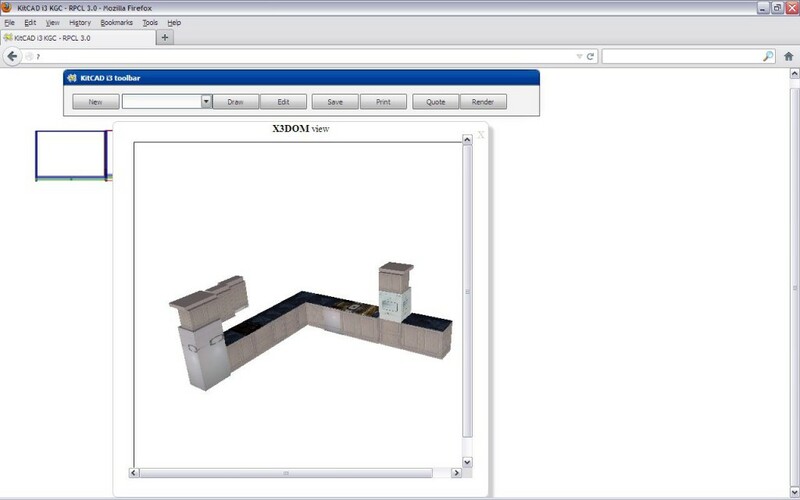 31st July 2013 – 60% completed; Open KP2, toolbar render, toolbar quote, toolbar print, move popup, edit popup, option popup. 22nd Sept 2013 – 70% completed; Draw KPD, added default and LibSys i3 support to toolbar drop-down select. 24th Sept 2013 – 80% completed; Save KP2, updated IE jumplist, Ff/Chrome bug fixing/tests. 26th Sept 2013 – 85% completed; Added jQuery Event handlers to KGC elements for mousemove and mousedown, added loadtime function to disable KGC elements r3 IE standards CSS reset fix, updated content language set by .htaccess to be en-US (was en-us). 28th Sept 2013 – 90% completed; Edit KPD, upgraded jQuery from 1.7.1 to 1.10.2, added jQuery UI 1.10.3 draggable attributes and script element to markup (disabled), minor changes to window/dialog drag and drop event functions, corrected RPCL event value testing. 12th Oct 2013 – 92% completed; Applied X3dom 1.5.0, Sketch-up Make, .htaccess and i3 updates. 12th Oct 2013 – 93% completed; Uploaded, tested and applied i3 updates. 18th Oct 2013 – 95% completed; Updated r30 source archive/installer (for Keyboard Shortcuts support). 19th Oct 2013 – 95% completed; Tested and Updated r5 for use with r30 Keyboard Shortcuts. 20th Oct 2013 – 95% completed; Tested compatibility for new i3 library system; Updated r30 source archive/installer. 23rd Oct 2013 – 95% completed; Posted preview of KitCAD i3 KGC r5 (see next post, below). 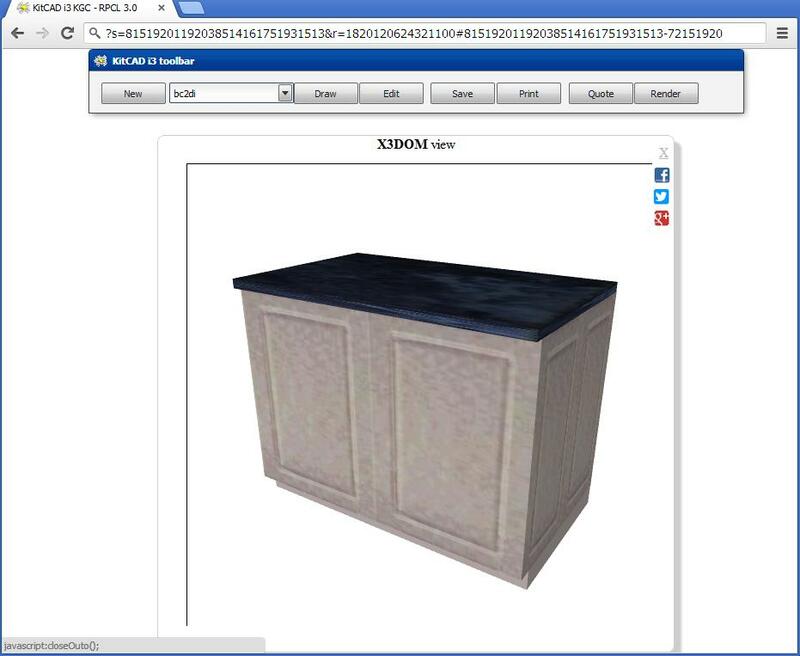 26th Oct 2013 – 96% completed; Tested source code deployment using Intel’s XDK (see below). 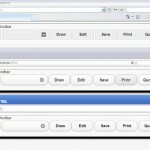 * Correct splash element move functions for non drag/drop enabled interfaces. * Re-write/override/test output generation functions. * Perform cross Browser Testing (and some Mobile Testing if possible). 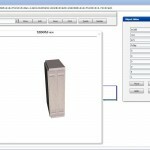 * Enable KitCAD i3 KGC security to allow QUOTE and RENDER form post methods by an rX refer. * Add if tested and working the new i3 Library System update that removes need of waiting when downloading Object Items/Scripts/Images (this may be released after rX – see KGC rX kpx example notice and i3 KGC kpx conversions). * clean up code by removing unused or non-working functions. * Package rX files within archive/installer, upload, test, and add download link to dev site. KitCAD i3 KGC r5 release notice. 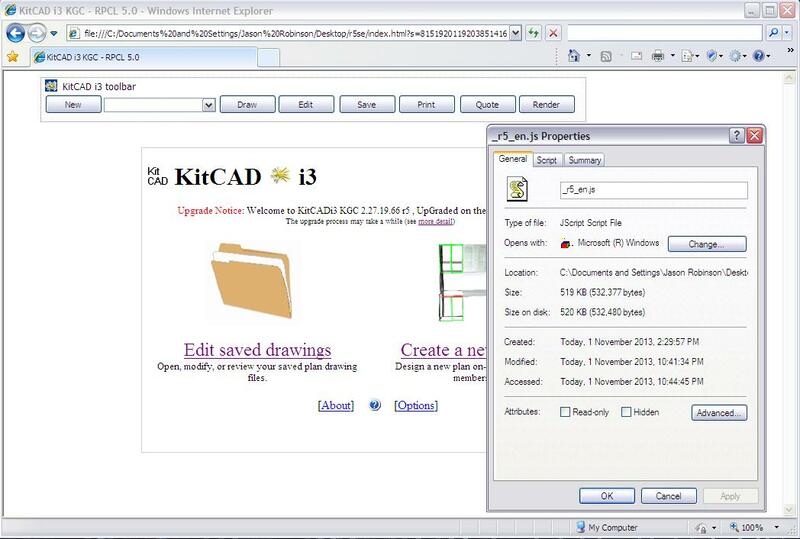 Tested KitCAD i3 KGC r3 and KitCAD i3 KGC r5 with the XDK deployment platform by Intel Corp. The rendered display is generated using Google Chrome surfing a localhost http server. KitCAD i3 KGC r3 displayed a black plan view on some devices. 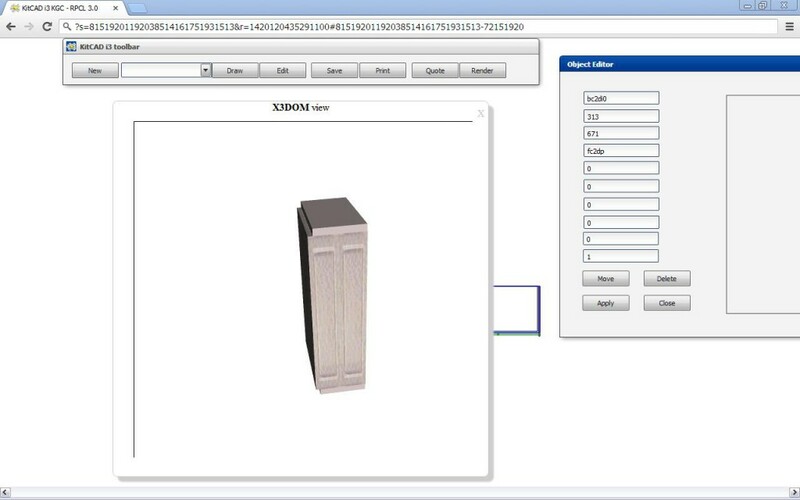 KitCAD i3 KGC r5 toolbar and dialog drag and drop could not be emulated correctly. Unlike H5B – the building of source into a working deployment using XDK requires the cloud. 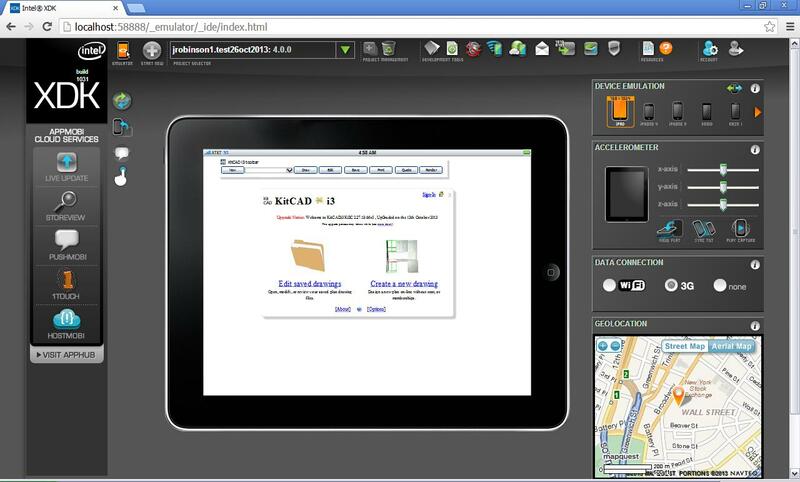 Microsoft also have a free to try product named WebMatrix that can emulate Windows mobile devices. Tested a stand alone version of KitCAD i3 KGC r5 se that can run from a windows XP desktop. Designed for use with kpx example (above). Changed KitCAD i3 KGC r5/r50 IE X-UA-Compatible meta tag from IE8 to be IE5 (quirks mode) due display bug placing object item on plan. To attempt correction or check for problems; Download Microsoft Fixit and run. Updated online version of r5/r50 _Index5150.css file by adding the follow lines – initaly developed for the rX version (See new feature notice for more information); This change makes view change depending on size of display. Corrected code to allow Internet Explorer 8 users to draw/move without placement bug of KGraphicControl; Internet Explorer 9 and Internet Explorer 10 issues were not corrected at this time (HTML1300 error). See release notice for more information. Updated online version of r5/r50 _Index5150.css file by adding the follow lines – initially developed for the rX version (See post above for more information); This change makes view change depending on size of display to web form 2 Editor dialog window. Added fix into r5en.js for default user missing Object Items in drop-down selector, see issue notice for more information.